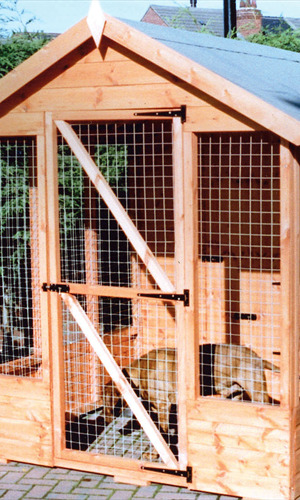 Donington Nurseries act as agents for a reputable family-owned shed manufacturer and we offer a choice of well-constructed Dog Kennels and Dog Runs which could also be used as aviaries or chicken houses. Our prices include vat, treatment, delivery and assembly in the Derby, Nottingham, and Leicester area. Please telephone 01332 853004 for the latest prices.